Sri P Balachandra Warrier, Managing Director, Manipal Foundation had a chance meeting at CII. This meeting made him realize that Ekal was the best model of an NGO which can go exponentially as it has been structured and operated with lowest cost per beneficiary. 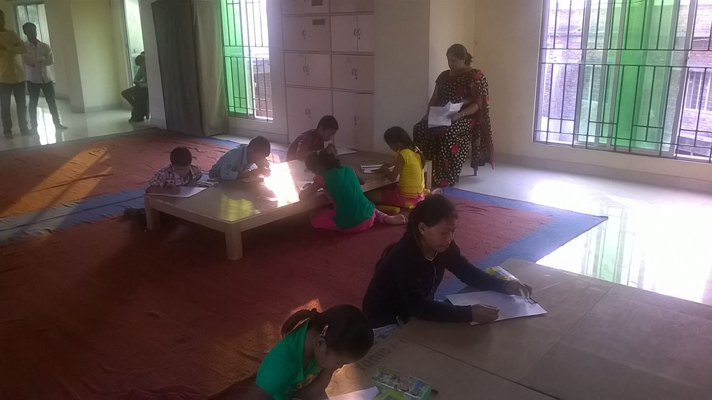 Ekal addresses a vital issue of Basic Literacy for the downtrodden. He says the wide reach, transparency and low cost beneficiary program is the USP of Ekal. When asked about Donors from USA he says, their enthusiasm, commitment and attachment has to be seen to be believed. Though they are physically far off, their hearts are in the right place and they are very liberal in pulling their strings for such a worthwhile cause. He says that, it is emotional and very satisfying to visit Ekal School to see the hope and the desire to learn in these young children. Sri Warrier is deeply committed to social cause and had set up a family foundation along with his brothers in memory of his late parents G.P.Warrier and Sarada Warrier. This foundation offers pensions for more than 22 men and women aged more than 75 years with no family support. There are plans to increase this up to 40 this year and to 100 by 2017. His wife Vatsala Warrier is a short story writer. 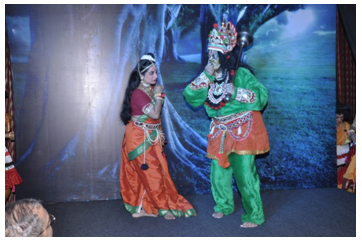 They both are involved in various cultural activities including drama, music and literary meets. Manipal Foundation, under his leadership had spread its wings wide and far supporting different social verticals pan India and touching the lives of more than 1,50,000 a year. 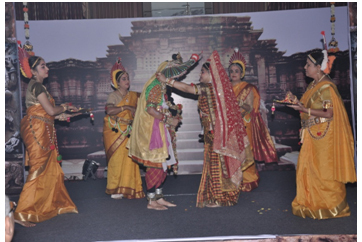 The Third anniversary of FTS Bengaluru Mahila Chapter was celebrated on 31st October with a gala dinner and a cultural program RAMAYAN - a dance drama by our own members in Yakshagana costume held at The Grand Magrath Hotel on 31st October, 2014. 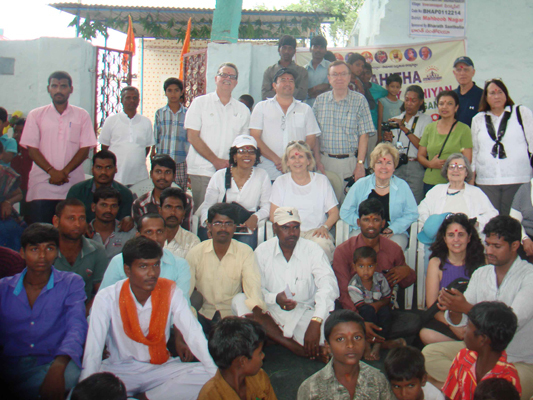 All the donors, members and well wishers were invited on this occasion. This program was celebrated with great pomp and show. Ladies from Mahila Chapter put up a great show. South Zone Chairman Sri Shyam Sundar Damani was present for the function. Sri Jag Mohanji Maheshwari along with a number of members from the base chapter also graced the occasion. FTS Guwahati chapter conducted the final drawing competition on 14th November for Ekal students. 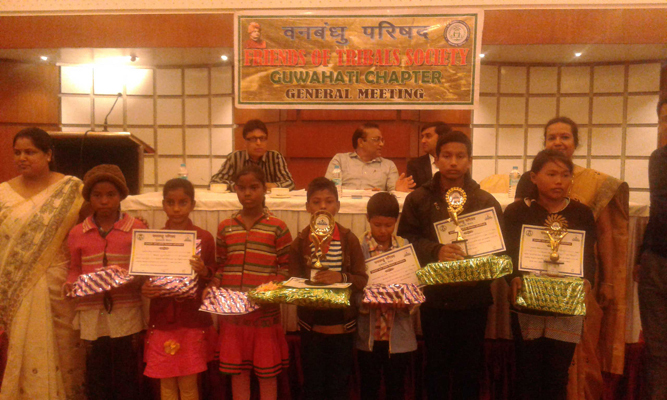 The first three students were given gifts and certificates by President Sri Pavan Kumar Agarwal. 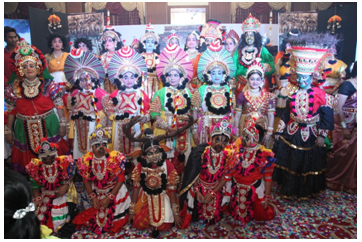 The preliminary competition was conducted on 26th October. 4545 Children from 1320 Ekal Vidyalaya’s of 6 Jillas, Golaghat, Udalgudi Jilla, Kabri, Angling, Thejpur, Kokrajad and Nagany participated in this competition. 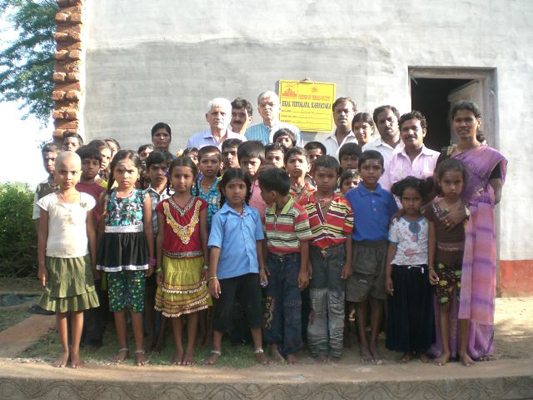 Dindigul Anchal, Tamilnadu, has organized a Deepa Pooja at Kannakampatti Village. Women of the village participated in large numbers. The villagers thanked Ekal for the initiative as it gives them an opportunity to leave the differences among them and unite together. They said this could be the first step towards Spiritualism. It was a wonderful sight, seeing all the lit deepas. 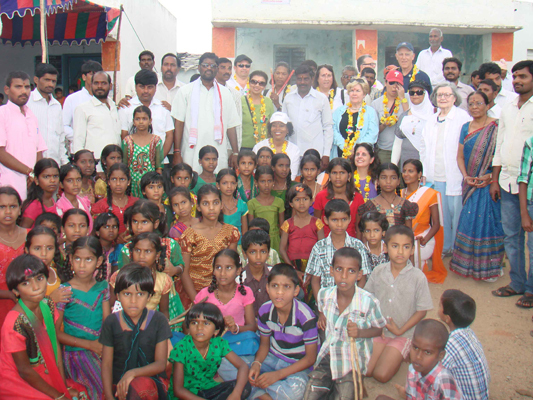 A team of 10 members from Meryland, USA, visited Ekal Vidalaya in Veerannapet Village and Elkagudem Village, Kondurgu Mandal, Mahabubnagar District, Telegana – India. 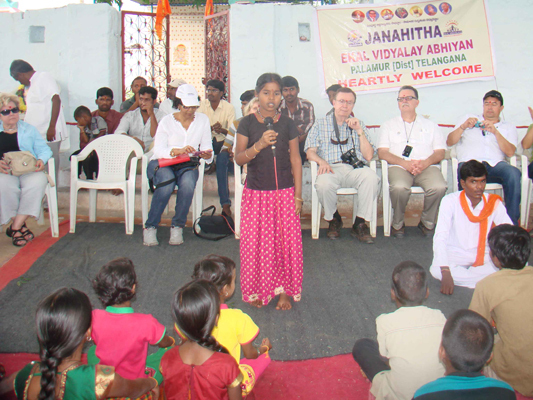 This was organized by Janahitha Ekal Vidayalaya Abhiyan, Andhra Pradesh. The trip was conducted by Smt. Shashi Srivasthavya (America) and Sri Ajay Singh (Delhi). 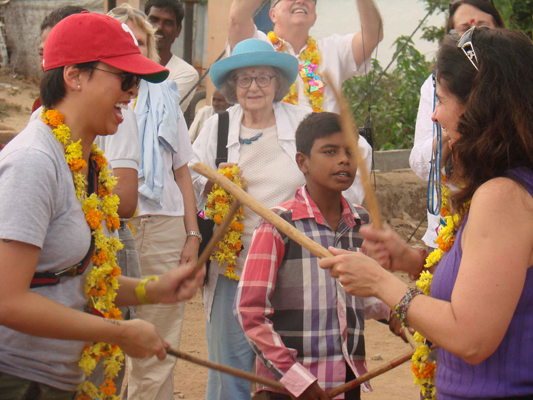 The Participants were Elkagudem Ekal Students and Gramasamithi. 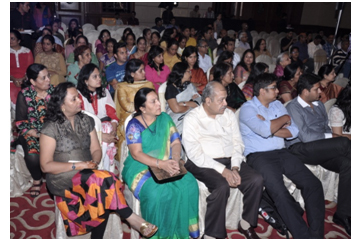 The guests were explained about the benefits of Ekal Vidyalaya and their activities. 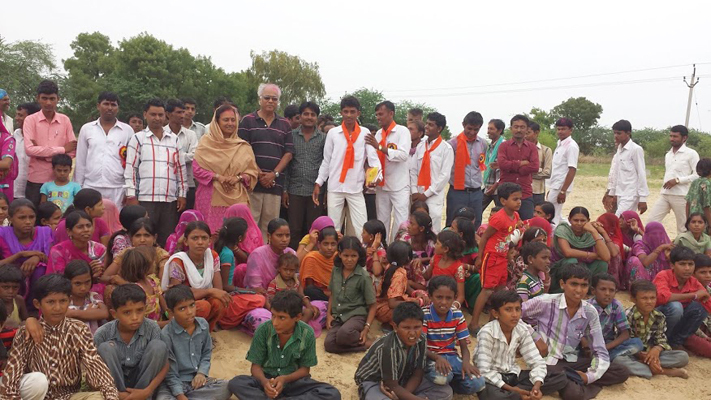 Radha Mukerji and Gautam Mukerji had a memorable visit to the EKAL school in Keriya Village, District Jalore, Rajasthan. They were overwhelmed by the warmth of the welcome extended to them, the enthusiasm of the children and their families, the dedication of the acharyas and the support of the entire village. Sree Hari Satsang Samithi and Ekal Abhiyan Trust are going to conduct Vanvasi Reksha Parivar Kumbh showcasing the life of Tribals to 1 lac families on 21st December, 2014 at Japani Park, Rohini Sector 10.